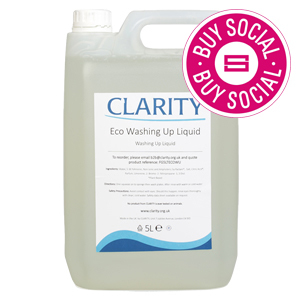 Zepbrook is glad to present you CLARITY, one of the UK’s oldest social enterprises, manufacturing competitively priced toiletry, cleaning and household products. Founded over 160 years ago they believe all disabled people should have an opportunity for employment, regardless of the complexity of their barriers. To meet this goal, all profits are reinvested into the organisation to provide employment, training and support for visually impaired people and others with long-term health issues. Many of their employees stay for years or decades, whilst others transition into work elsewhere with a renewed sense of confidence. 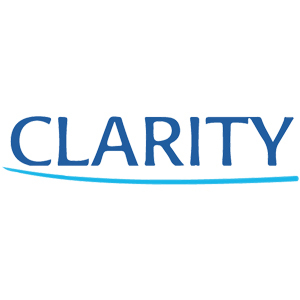 Clarity products are now closer to your office! Get them tomorrow: order before 5pm if you’re in London (or the M25 area). Call us now on 020 8752 0110 or enquire online. Efficiently cleans office and home equipment - phones, keyboards, remote controls etc. Try it on your CDs and even vinyl records to eliminate jumping due to smears. It removes dirt, grease, finger oils & dust. An environmentally friendly alternative to aerosol. 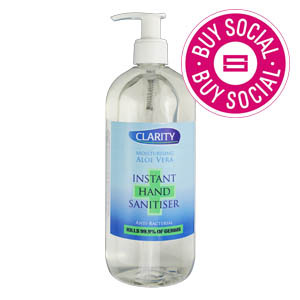 Popular, handy Instant Hand Sanitiser. 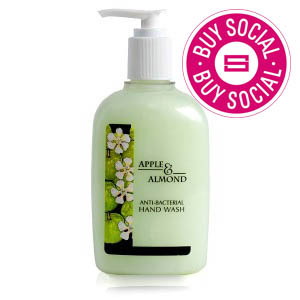 Kills 99.9% of germs fast, but leaves your hands fresh and dry (but not dried out) and with no need for water. With moisturising Aloe Vera. 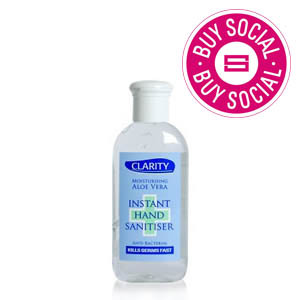 Popular, hand pump Instant Hand Sanitiser. 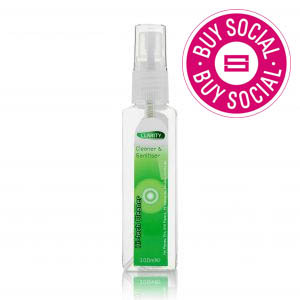 Kills 99.9% of germs fast, but leaves your hands fresh and dry (but not dried out) and with no need for water. With moisturising Aloe Vera. 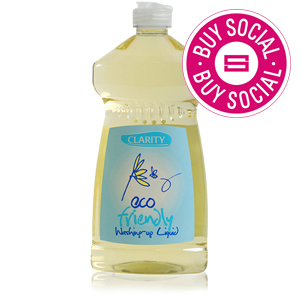 CLARITY's popular antibacterial hand wash in Apple & Almond fragrance leaves the skin clean and moisturised and also kills 99.9% of all germs. It comes in a PET bottle which is readily recyclable.